If you’re exhausted from the non-stop partying or simply want to escape the crowds, Cine Manto is the ideal refuge. 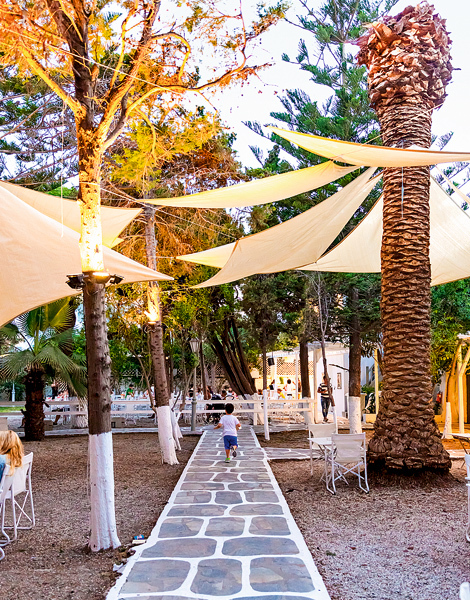 Situated in the greenest neighborhood of Chora, it’s tucked away among oleander, olive, cypress, palm, pomegranate and pine trees, from where the local cicadas perform their usual summer-long concerts. According to the British Independent newspaper, it ranks among the most beautiful open-air cinemas in the world. 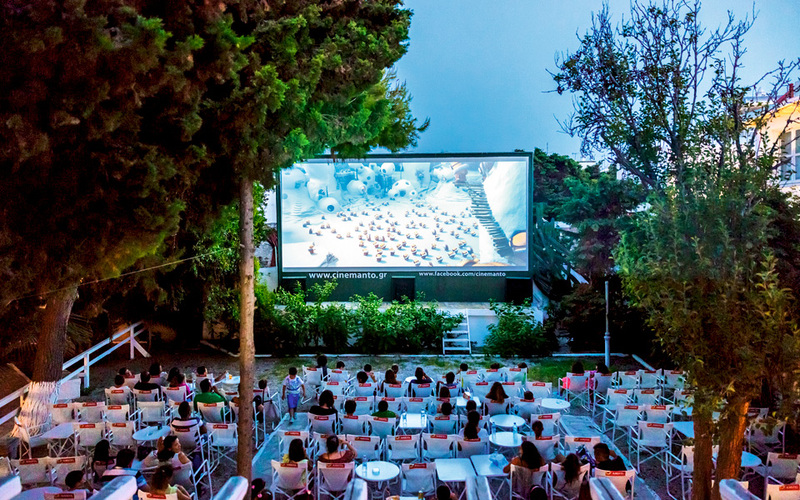 Although it’s named after Manto Mavrogenous, a heroine of the 1821 Greek Revolution, for locals the cinema’s location will always be known as the Garden of Meletopoulos. Privately held until the middle of the last century, it was donated to the municipality of Mykonos in 1957 by the lawyer, benefactor and founder of the town’s public library Ioannis Meletopoulos. For 40 years, its potential remained untapped until it began to operate as a municipal cinema in 1995 before being sold off in 2011 for economic reasons. It was a turning point for the cinema, which was now in the hands of three creative and discerning locals with a love for film: brothers Andonis (a film director) and Dimitris (a designer) Kioukas and film producer Thalia Kalafata. The cinema doesn’t restrict itself simply to showing films. 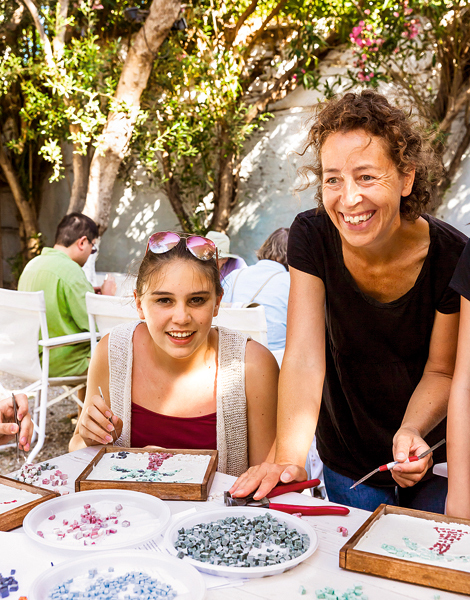 It also hosts exhibitions, book presentations, children’s theater and art workshops. It has become a popular haunt for artists, a recreational area as well as a cultural focal point for locals and tourists. Finally, don’t be surprised if you happen to catch a glimpse of the local pelican pushing his way through without a ticket to nab a goldfish from the cistern. He has a little house of his own in the garden. Treat yourself to a memorable summer experience.